The Luxe Nano mod is smaller than its bigger sibling and this time has an internal 2500mAh battery. As the battery is smaller – the maximum output of the Nano is 80W. 1.3in TFT colour screen with an Edge to Edge styling. 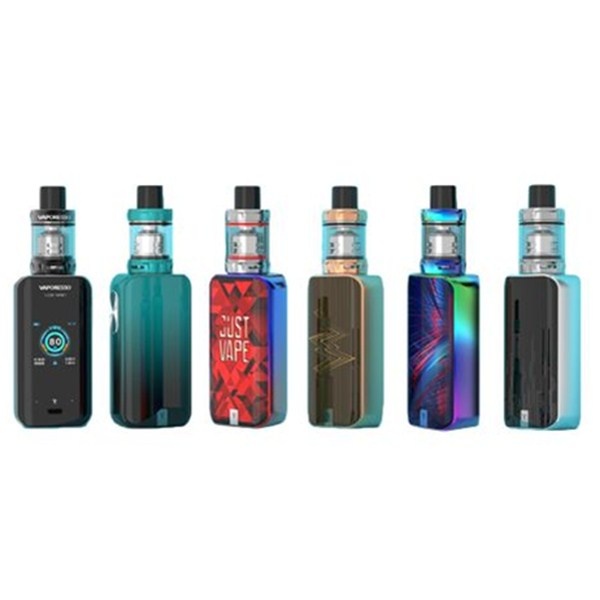 Inside the mod is the Vaporesso Omni Board 4.0 chip which gives a fast firing speed of 0.002 seconds and a wide resistance range so you can use atomisers of 0.03-5ohm resistance. The kit tank is the SKRR-S Mini – which is a mini version of the existing SKRR Tank. The QF coils from the original SKRR tank are used in the mini version too. You can also use the GT coils from other Vaporesso sub ohm tanks.